Today is the cover reveal tour for REACH FOR YOU, the third book in my Dark Heart series. It’s easy to understand why I’m excited about sharing my cover. Covers are fun, they give clues about a novel’s plot, hint at what tone and emotions a reader can expect, and showcase genre. Covers are designed to tease and tempt a reader into turning the book over and reading the blurb on its back. For me, sharing a book’s cover for the first time is like placing the cherry on the top of an ice-cream sundae that I’ve been working on for months and months. It’s the final touch before the book is released and readers can dive in and devour it. Those of you who are authors can probably relate to those things. But perhaps you’re wondering why I chose to have a professionally organized cover reveal tour rather than simply hosting it on my own social media and in my newsletter. First of all, using a professional tour is not mandatory. But for me, it is a way to generate maximum excitement without investing a lot of time. If I only used my own social media site, then I’d only reach people who are already familiar with my Dark Heart series. Reaching those people is vital. But for a relatively small cost, I can move beyond that circle of followers and have hundreds or even thousands of new readers see my latest cover and discover my books existence. Plus, I can choose a tour that specializes in my book’s genre to guarantee my cover reveal will hit the right readers. Hopefully, this will lead to pre-orders that might not have happened otherwise and to new fans discovering my series. Sure, I could ask my blogging friends to host my reveal. That would expand the circle to a degree. But organizing a tour takes time, time that I could be using to work on my next novel. 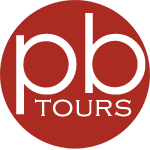 A professional tour organizer will find the bloggers (this can include my friends), get the material to them, remind them when the posts need to go live, and basically make sure the reveal is timely and professional without my help. If there is an issue, the organizer will serve as the go-to person, removing all stress and allowing me to enjoy the reveal instead. So what does the cover for my upcoming release look like? The first two books in her Dark Heart series, A HOLD ON ME and BEYOND YOUR TOUCH are available from Kensington Books. 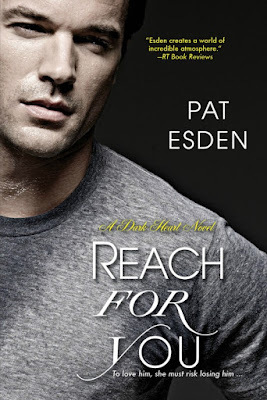 REACH FOR YOU (book #3 Dark Heart series) will be released June 27th.